It's another new month which means it's a fresh start at a new month and week, which means endless possibilities! 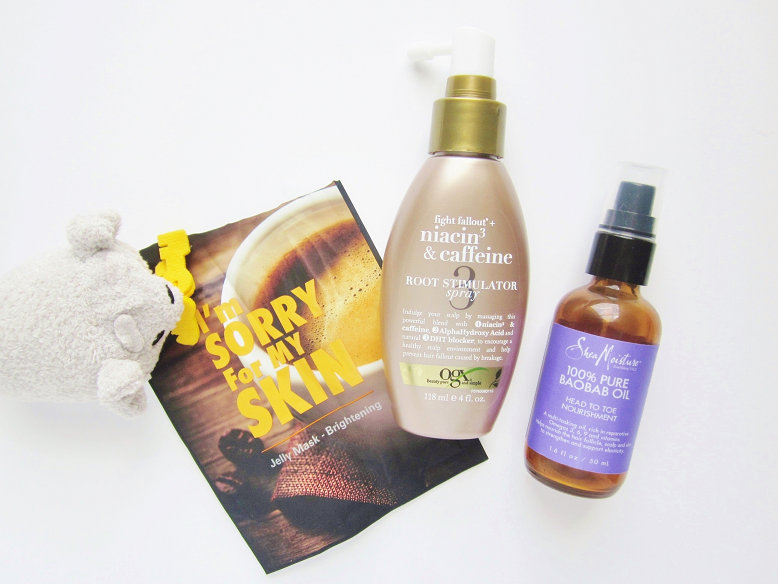 But before we can move on let's review what beauty products were my favorite in August. I didn't think I had many beaut favorites this time but thankfully I jotted everything down in a notebook this time. I completely forgot about some products so I'm glad I remembered to write them down because if not then you may have never heard of these amazing products! I randomly picked up this lotion thinking it was a foot cream (I mistook HEELS for HEALS, lol). But instantly fell in love with the delicious intoxicating aroma of this cream! It has a strong frosting/icing scent that just makes me want to lick this lotion off my skin! In terms of hydration it's alright (kind of thick in my opinion but it eventually sinks into the skin). I would honestly repurchase this over again and again because of the scent! For some reason I had a sudden urge to paint my nails a milkshake pink color. I wanted a bright opaque pastel pink milkshake color. But whilst I was looking through the various beauty aisles in search of the perfect pastel pink I noticed how hard it was so find said shade. Every pink that I saw was either too sheer or light. Finally I found Pink Blink by Sally Hansen, it's the closest shade I could find to what I wanted. If it were one or two shades lighter it would've been the perfect strawberry milkshake color of my dreams. I wore it for two whole weeks in August (I currently have it on my nails as I'm typing this post). My local Target finally started carrying the NYX Lip Lingeries and I finally got Baby Doll! It's similar to Satin Ribbon but Baby Doll has a pink hue. The color is a gorgeous natural color that suits me perfectly. However, I feel like the formula is different from the other two Lip Lingeries that I own. It's requires more then one coat for the color to show up on my lips because its sheerer then the other two. It also doesn't last as long as Satin Ribbon or Corset. You can view my review on the NYX Lip Lingerie Liquid Lipsticks here. Remember the Memebox mask and snack box I got in early August? Well the Ultru I'm Sorry For My Skin Jelly Masks were a huge favorite! The masks were well soaked in a jelly essence that left my skin feeling super hydrated. If you haven't already read my full review on all the masks here. One of my personal goals in August was to start growing out my hair. My hair falls out all the time and it's a huge concern for me because it makes me feel really insecure about myself (Who doesn't want luscious locks?). So around the end of July I purchased this root stimulator by OGX. You apply this on your root area and massage your scalp for a few minutes. It actually worked! Within a week I saw a huge difference! This is actually my second bottle! I'm planning on making a more in-depth post on this later. Along with the root stimulator I also used this oil. Anytime I washed my hair I would apply this oil all over my hair, focusing on the scalp area most. After 30 minutes to an 1 hour I would wash it off and my hair felt soft and healthy. Again, I will talk more about this in my hair care routine. What are your beauty favorites from August?